Ten years ago, I walked into Pizzeria Uno in Harvard Square in Cambridge, Massachusetts, to meet some fellow black students with whom I would spend the next three years learning the law. From nearly every wall hung a television tuned to Hurricane Katrina coverage. I remember no utterances from that night. But the dissonance between black corpses submerged in water 1,500 miles southwest from where black folk sat knowing that they would eventually hold Harvard Law degrees strikes me as forcibly now as it did then. I am, to use antiquated language, a Race Man. I went to law school because I believed I could, with my degree, advance the cause of my people. I accepted the idea of racial equality, that American structures -- the criminal justice system, the judiciary, legislatures and the like -- would one day promote blacks' interests as they do whites'. Ten years after Hurricane Katrina, I now write fully aware I was wrong. Blacks must drag the notion of racial equality before the American public, wrap our minds around it and tighten until it suffocates. I understand why we birthed it in the North as the South enforced property rights in us, reared it as war unlocked our shackles, cradled it through troubled years of nooses and separate fountains, and nourish it even as cop bullets tear through our fleeing backs. But racial equality -- as an ideal -- draws its breath from the lungs of black people, each inhale weakening us. Public policy cannot intervene to alleviate black poverty. But public policy built the white middle class in the 1930s and '40s. Public policy cannot intervene to alleviate crime in black neighborhoods. But public policy curtailed the high criminality rates of European immigrants in the urban North in the early 20th century. A black man can be strangled on camera and a prosecutor cannot get an indictment because he doesn't want it. The unwillingness of white people to treat black people like white people treat white people is America's congenital disease. It goes by another name: white supremacy. We, during Hurricane Katrina, watched white supremacy work. Algiers Point, a white neighborhood in New Orleans, withstood the rising tide well. Rather than welcome their fellow Americans drenched in desperation, whites there blocked the roads with fallen trees to deny black people safe harbor and formed armed neighborhood watch teams that patrolled the streets and indiscriminately gunned down blacks on sight. Hurricane Katrina exposed the sinister creation the kingdom of white supremacy spawned. Blacks cannot end its reign. Our culture, our being does not house white supremacy. It is not ours to kill. It pours through the veins of the white population. Only they can dethrone it. And although many whites pray for its death, far too many will safeguard white supremacy until it no longer furthers their interests. White supremacy, in other words, should be considered an immortal king, a king that will exhaust all energies to ensure racial equality never uncrowns it. Thus, no matter how many seeds we plant, no matter how hard we farm the soil, racial equality is unlikely to flourish in America. Historian Thomas J. Sugrue once noted that capitalism, America's economic system, "generates economic inequality." The ranks of the middle class and the rich cannot swell large enough to wedge everyone in. Some have to be poor, and blacks disproportionately bear that burden. The probability for whites to be poor is low precisely because the probability for blacks to be poor is high. Racial equality would require America to redistribute poverty; it would require some whites to descend into the pits of the underclass in order for some blacks to rise. Blacks play a crucial role here in America: We occupy many of the poverty slots that must be filled in a capitalist economy. And misery overflows those slots, as we witnessed in late August a decade ago. Vanessa Mitchell reveals that her daughter Tasha, who was 9 when the hurricane hit, "gets sad all the time," since the tragedy. "Sometimes," Vanessa adds, "she would just get sad and cry and you'd ask her what's wrong and she'd shut down and talk to nobody. So she was having those kind of emotional problems and getting in trouble at school, fighting other kids and stuff." Scores of other New Orleans residents report similarly, how depression or PTSD has overwhelmed their lives after Hurricane Katrina. The mere sound of rain can send surges of terror and panic through the nerves of survivors. Blacks should hold up the dandelion of racial equality and blow, allowing reality to waft away the spores of wishful thinking. Advocating for a possibility so remote is impractical. I will not argue it could never occur. Given that slave traders brought the first stolen Africans here in 1619, however, anyone peddling hopes that America's racial disease will be remedied should be forced to explain why the last 400 years fail to prove no panacea exists. We must still continue to wage war against the system, though, lest we surrender the ground for which we have shed centuries of blood. Rather than chase racial equality dreams, blacks and non-blacks dedicated to the cause should push for better black life, what should have always been the goal. Racial equality was forever a bad idea. The thinking was that when the system treated us fairly, the quality of black life would improve, equaling that of whites. That logic was decent. But racial equality was a proxy for better black life. The proxy never bests the real thing. If a better life is what we need, then a better life we should seek. 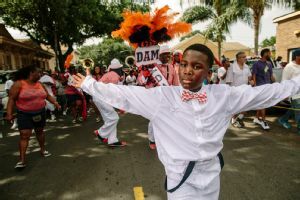 The black/white achievement gap, although showing signs of closing in New Orleans, has long crippled the economic pursuits of black folk. Stereotype threat represents a leading culprit in the gap's persistence. That's the idea that blacks underperform in academic settings because the threat of confirming a negative racial stereotype debilitates performance. The underperformance occurs because some of one's brain power is focused on a stereotype rather than solely on the mental task. If racial equality stands as our goal, the logical response would be to attack American culture to stop propagating negative stereotypes questioning our intellect. But a variety of possible responses opens up if the goal were better black life, including creating a counterculture that shields us from these pernicious stereotypes while also propagating ideas affirming a positive racial self-esteem regarding intelligence. These sorts of uplift strategies can lead to a fuller, more enjoyable American existence. We must seize it. The written pleas for help scribbled across rooftops, the loud wails and swinging arms seeking acknowledgment, the frantic calls to 911 from quickly submerging attics, all served as petitions to the government to perform its most basic function: protecting the lives of its citizens. The sad truth is that my idea of a better black life would have offered no relief during Hurricane Katrina. But neither did our government. America has proved unwilling to treat us equally, which means we cannot count on it for rescue. Yet, if we pool our resources together, we can still progress and find better lives here. And that's the lesson Hurricane Katrina taught me.